Located just 40 miles northwest of Las Vegas, Mount Charleston is a popular hiking and camping destination for many Las Vegas residents. At nearly 12,000ft tall, Mount Charleston Peak is the perfect place to escape the southern Nevada heat! 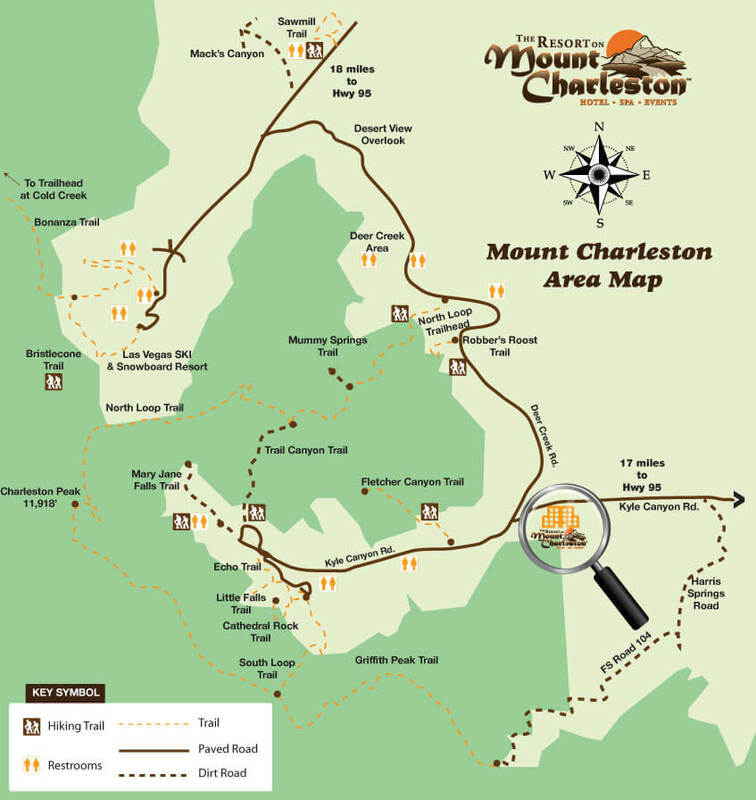 With many trails for beginner, intermediate, and advanced hikers, there is something for everyone at Mount Charleston! Call or email us if you’re interested in scheduling a llama adventure in southern Nevada or surrounding areas!